We’ll market your property on the UK’s biggest property website, Rightmove.co.uk, where 7 in 10 home-movers say they turn to first when looking at property (source: rightmove press office). What’s more, we’ll also market your property on one of the other big websites - either Zoopla.co.uk or Onthemarket.com - giving your property the maximum exposure possible. Many people still like to flick through the property pages of the local papers – so you’ll find us in there too, as well as Sussex Life and Surrey Life. Ask your local branch for more details. With an incredible 17 offices across East and West Sussex and into Surrey, no other independent agent in the area has the reach that we do. Many home-hunters like to look at properties on Sundays – in particular, those who’ve come to our area from a distance -like to see as many in a weekend as possible! That’s why all our major offices are open on Sundays – and smaller ones will happily set up Sunday viewings by arrangement. Good photos encourage people to click on that property on a website… and entice people to phone up to find out more. 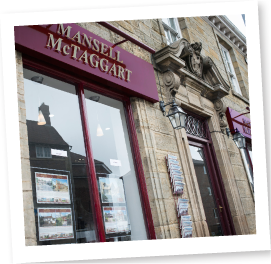 That’s why many of our offices use a professional photographer for all their properties, and all the other offices can arrange one for your property if appropriate. Speak to your local office to find out more.